You’ve all met Fregley, the adorable crafting buddy that yesterdaydream made for me for the Craftaholics Anonymous Handmade Gift Exchange. 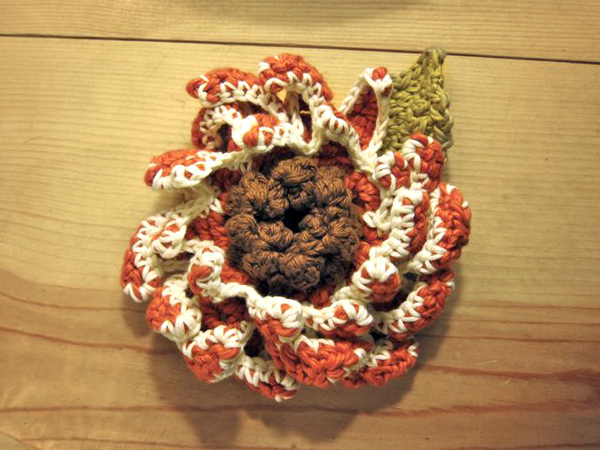 Well, this giant crocheted sunflower brooch is what I sent her in return! I knew that Christa was a yarn crafter too, so I wanted to make her something that was big, fun, and happy, but that she wouldn’t necessarily have made for herself. I love crocheting flowers (you’re shocked, I know), so a fluffy sunflower seemed like the right choice for the occasion. 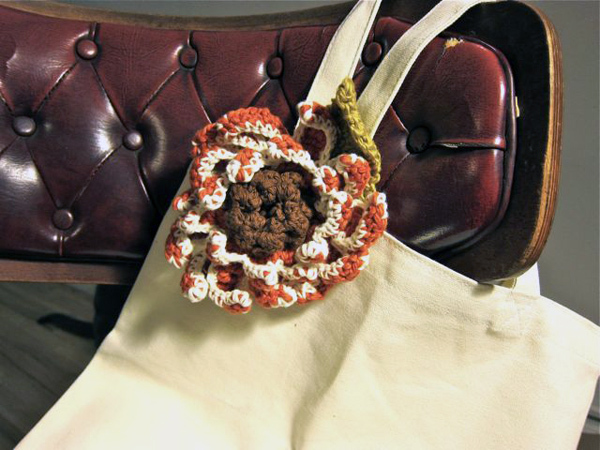 I know that crochet isn’t necessarily the first thing that comes to mind in the summer months, but I think that crocheted flower brooches are the perfect accessory to brighten up a sun hat or tote bag! I had such a good time participating in the exchange. A big thank you to Craftaholics Anonymous for organizing, and to yesterdaydream for being my new crafty friend (and for sending me such a thoughtful gift)! Sunday Snapshot: Welcome to New York, Fregley!